Great philosophy doesn't have to be boring. The deepest minds can also be the wittiest, and these 100 quotes shine a revealing light on the humor of the best philosophers. 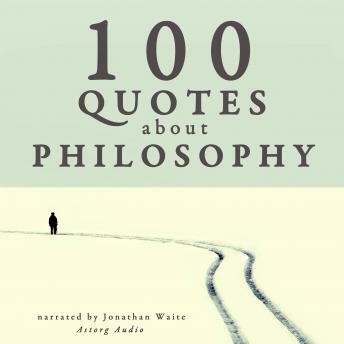 We have selected for you the most interesting quotes about philosophy, having its own greatest figures reveal its humorous side: Nietzsche, Spinoza, Socrates, Plato, and also Gilles Deleuze, Beethoven, Oscar Wilde, Albert Camus and many others. Whoever learns to think by himself will also learn not to take himself too seriously; and the greatest minds are also the funniest.